This high quality veil and hat combo is one of the best values that you will find on the market. 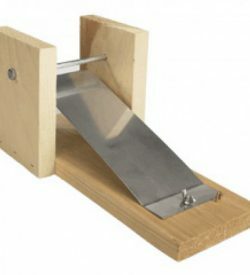 It will last many seasons for the small beekeeper. 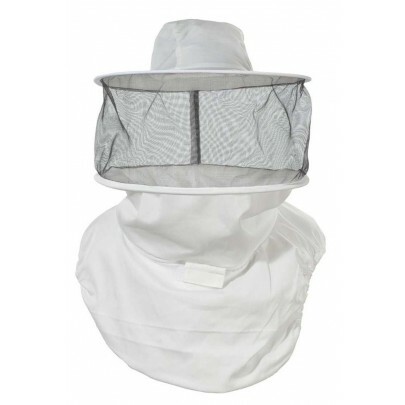 This round veil is made from a durable, light-weight cotton polyester blend. 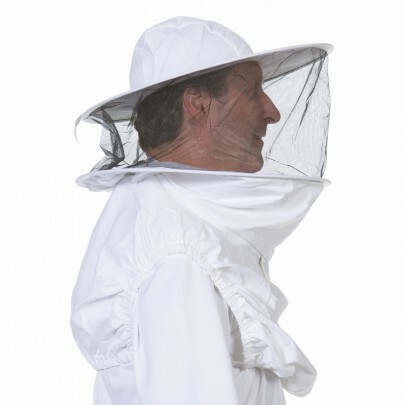 The hat and veil portion is attached to the shoulder and chest portion with a zipper. 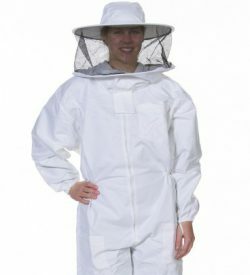 The top of the zipper is secured by double Velcro for extra protection which prevents bees from crawling inside. 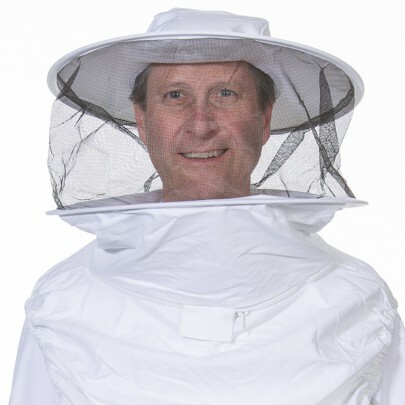 The veil is made from a light-colored mesh which is easy to see through. 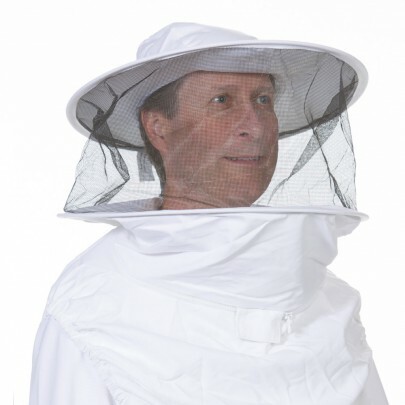 In addition, the mesh runs completely from front to back making it easy to see in all directions. 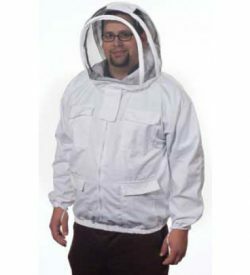 Thanks to the shoulder straps, this is a perfect item for beekeepers who don’t want to mess with drawstrings. 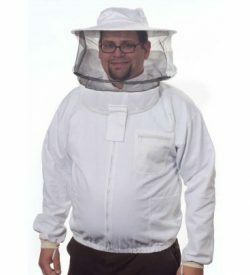 The shoulder straps have a variety of button holes on each allowing for the chest portion to be easily adjusted for different sizes of beekeepers. 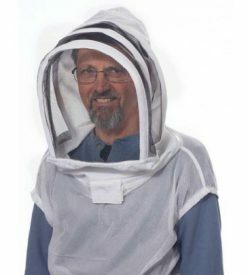 It is a one-time adjustment unless you are sharing this veil with a fellow beekeeper. 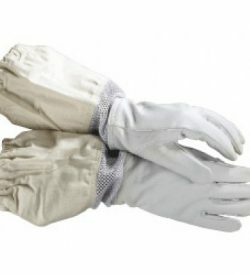 There is elastic around the arms and chest providing for additional protection and better fit. For the hat, one size fits most.